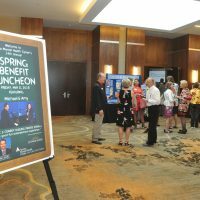 at Hyatt Denver-Aurora benefiting at 11 a.m. to 1 p.m. 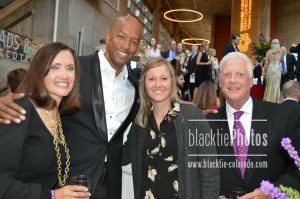 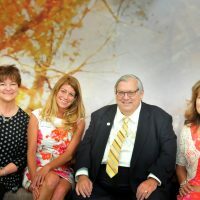 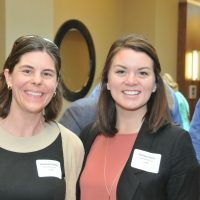 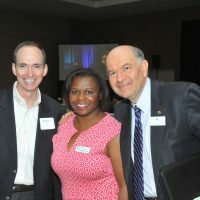 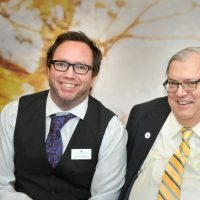 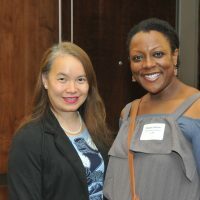 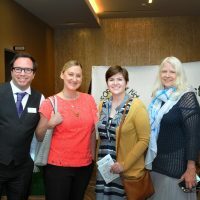 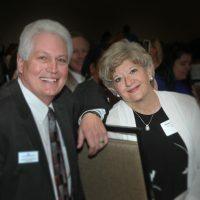 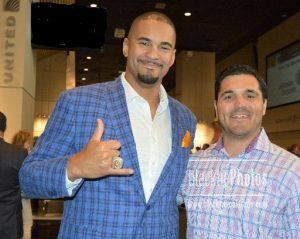 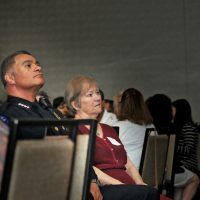 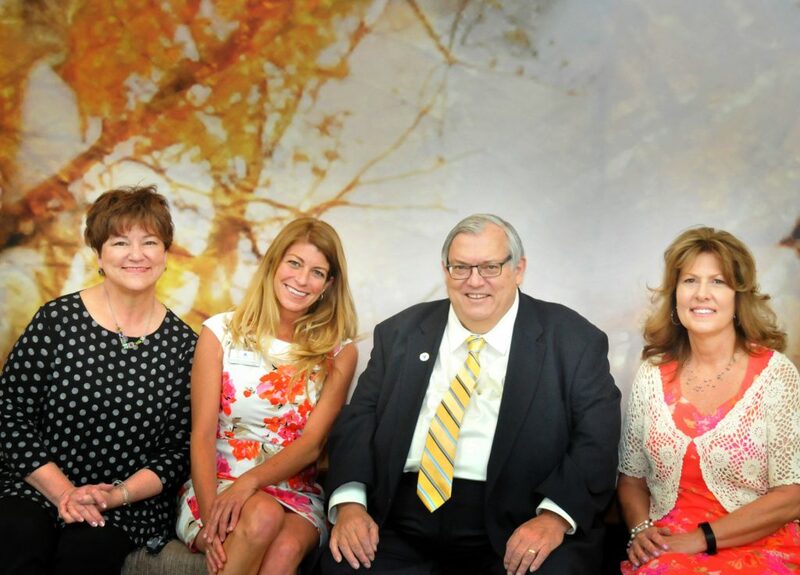 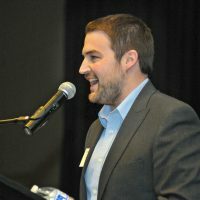 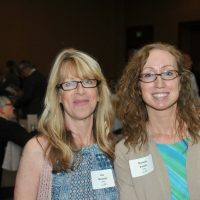 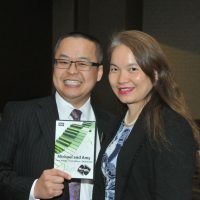 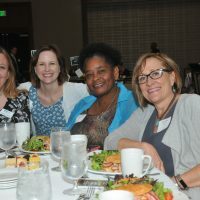 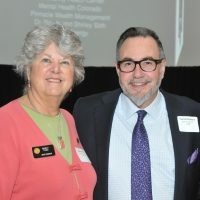 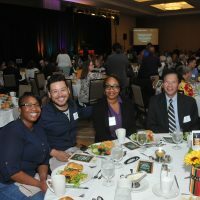 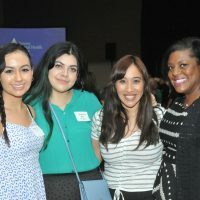 The 14th Annual Aurora Mental Health Center (AuMHC) Spring Benefit Luncheon was held Friday, May 11 at the Hyatt Regency Aurora-Denver. 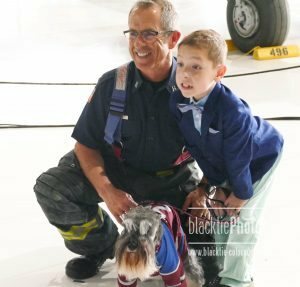 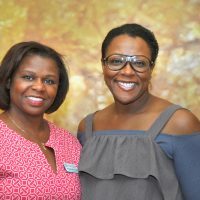 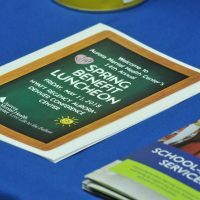 Proceeds from this year’s event support AuMHC’s School-Based Services, which serve youth and their families in 41 schools across four school districts and the Community College of Aurora. 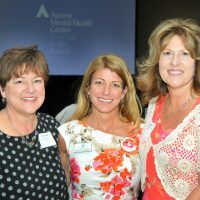 School-Based Services increase access and reduce barriers to mental health services, and encourage collaboration across systems to provide effective intervention and prevention services. 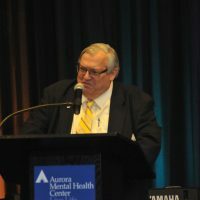 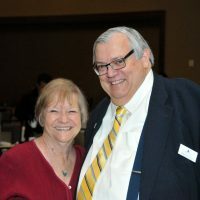 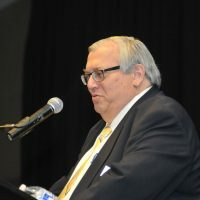 The event also honored and celebrated the 40-year tenure of CEO/Executive Director Dr. Randy Stith, who is retiring in June. 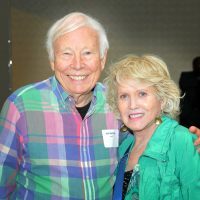 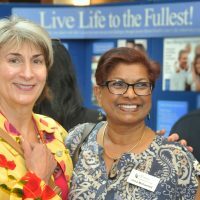 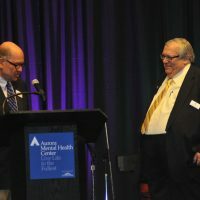 Stith, who began working at the Center in 1978, built and guided AuMHC through changes in practices and funding while creating greater access and a broad range of service offerings to the community. 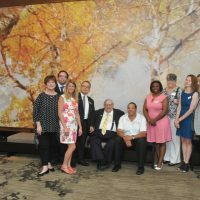 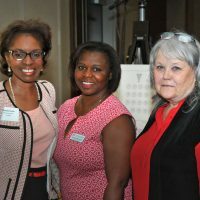 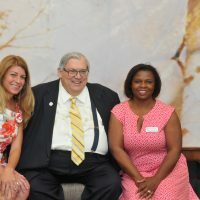 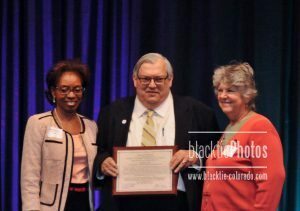 Stith’s lifetime of service was honored by Colorado State Senators Rhonda Fields and Nancy Todd, AuMHC Board President Harrison Cochran and Vice President Mark Stephenson. 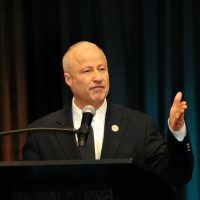 US Congressman Mike Coffman presented Stith with a tribute which was read into the US House of Representatives Congressional Record. 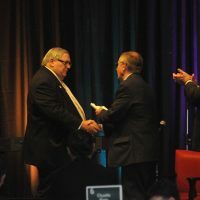 Stephan Ghadaifchian, Senior Vice-President of Commercial Banking at Citywide Banks, presented Stith with a Lifetime Achievement Award, celebrating their 25-year partnership. 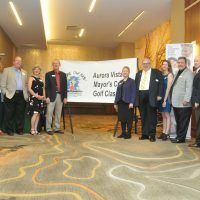 Citywide Banks also served as this year’s Presenting Sponsor of the event. 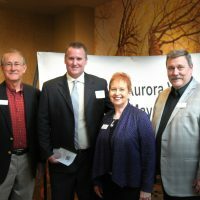 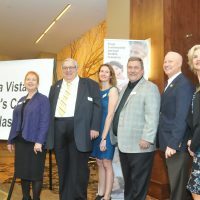 Gold sponsors included Colorado Access, EON Office, and The Medical Center of Aurora Behavioral Health and Wellness Center. 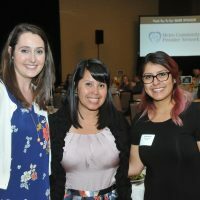 This year’s Silver Sponsor was Metro Community Provider Network. 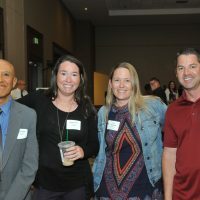 Bronze Sponsors are: Asian Pacific Development Center, Aurora Chamber of Commerce, Aurora Economic Development Council, Aurora Federal Credit Union, Aurora Housing Authority, Aurora Public Schools, Aurora Mental Health Center Executive Team, Cherry Creek Schools, Children’s Hospital Colorado, City of Aurora, City of Aurora Municipal Courts, Community College of Aurora, Genoa Healthcare, IMA of Colorado, Nelnet, Inc, Suss Buick GMC, Tolin Mechanical, and WAVE Audiovisual. 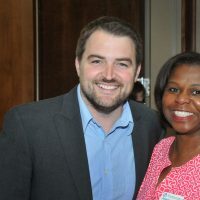 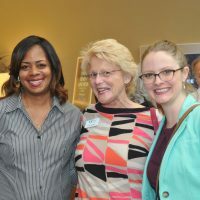 Stith thanked his staff, volunteers and dedicated board members who, he said, “have never missed a quorum.” He praised Coffman – who is a Republican — and former State Senator Pat Steadman, a Democrat, for their bi-partisan efforts in support of community mental health and AuMHC. 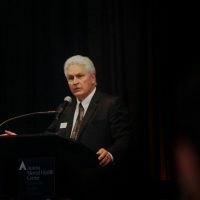 “Access to quality mental health care is not a partisan issue, even in this polarized political environment,” Stith said. 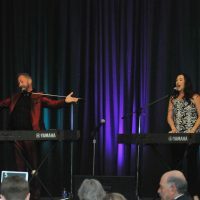 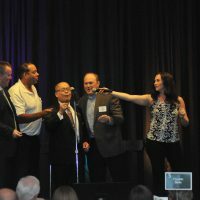 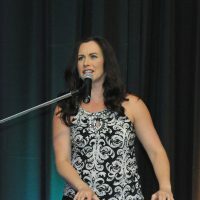 The luncheon ended with musical entertainment provided by Michael and Amy’s Dueling Pianos Show, which required some audience participation and led to the discovery of various levels of singing talent.